Meemaw: No wine for me. Sheldon's bringing me my whiskey. 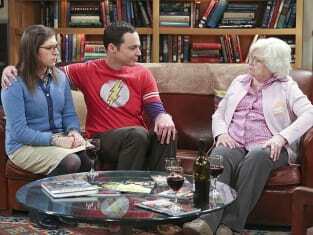 Sheldon: There you go, Meemaw. I made it just how you like it. A lot, in a glass. Permalink: There you go, Meemaw. I made it just how you like it. A lot, in a glass. There's Amy! I just know you're going to hit it off. You both have the same fashion sense. Permalink: There's Amy! I just know you're going to hit it off. You both have the same fashion sense.